This is one of those games you have to try. 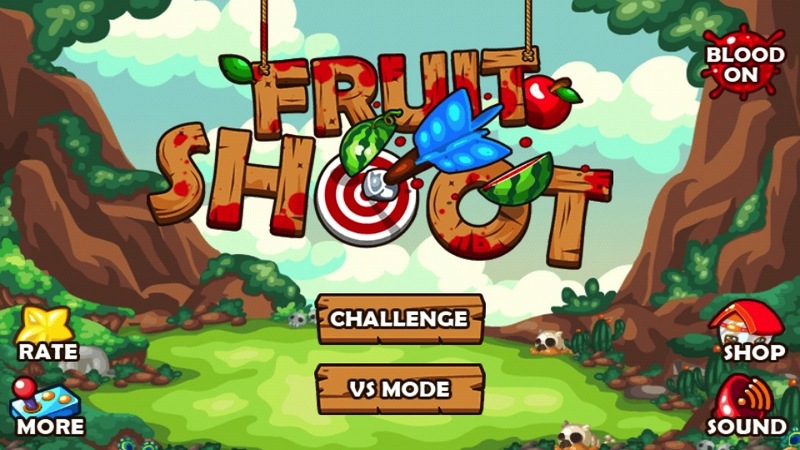 Fruit shoot is a free Android archery game where you have to try and shoot fruit off an animals head through a variety of levels and worlds. There is a ‘blood on’ feature which is quite a nice addition to the game and adds an element of gore when you misjudge the height of the arrow. I’ll leave you to find out the excellent graphics that go along with this for yourself. Shooting an apple off one’s head is a feat of marksmanship with a bow. How far can you shoot? Are you as good as Robin Hood? 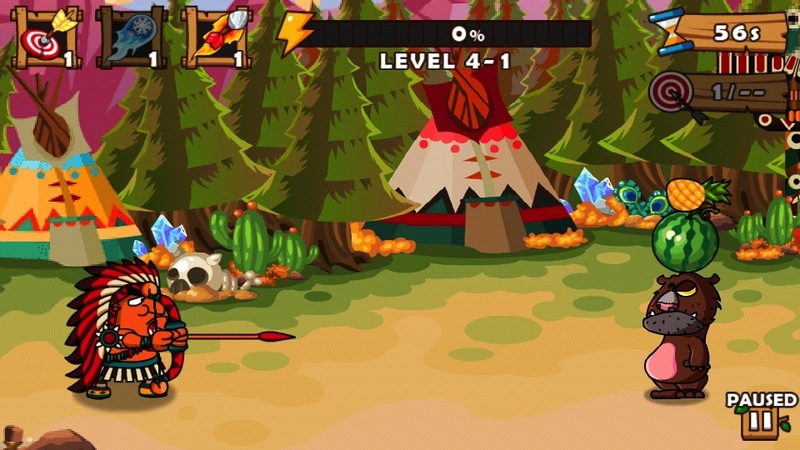 Now grab bow and arrow and try to hit the fruits on the head of the cute buddies in this most insanely addictive adventure game! 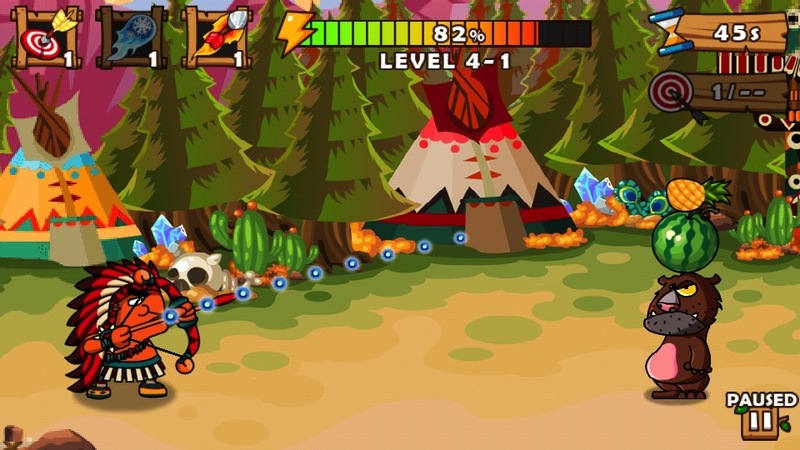 Fruit Shoot follows the standard world and level layout we are all very used to now with these types of games. The controls are very simple, using a simple drag and aim mechanism. The further you drag on the screen right to left determines the power of the arrow, with an upward motion to control the height. Simply hit the fruit off the animals head. The targets vary in shape and size and if you’re really good, you’ll come across a bonus level where you have to rapidly take out stacking fruit before it reaches a certain height for an extra bonus. 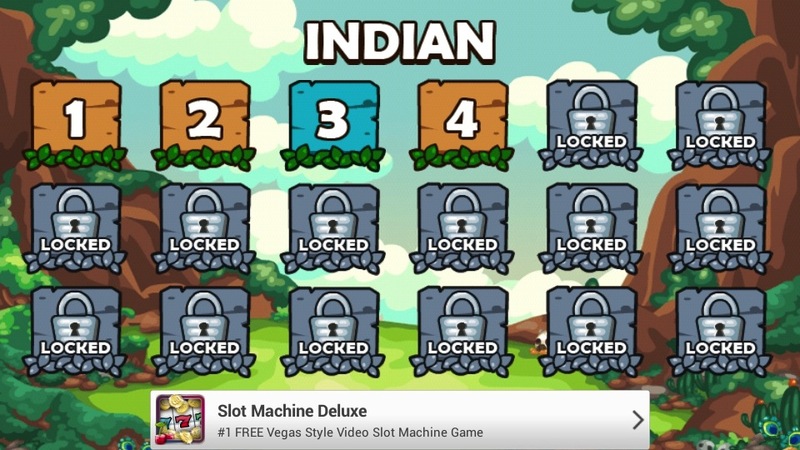 There are also a variety of special weapons available that can be used if you’re struggling with a particular level. Overall, the game is a great time killer, and it’s free so it definitely worth a look.